A few weeks ago The Dalmore released this new expression, intended for Duty Free shops worldwide. Why Valour? It’s named after the Clan Mackenzie’s act of bravery in 1263 when an ancestor of the Mackenzie Clan bravely saved King Alexander III from a charging stag. The grateful King granted the Mackenzies with a ‘Royal’ 12-pointer stag in their coat of arms. The Dalmore distillery was long owned by The Mackenzie family and every bottle of The Dalmore single malt whisky is adorned with this proud emblem, symbolising the distillery’s royal pedigree. This is a blend of quite a few different cask finishes, matured initially in first fill ex-Bourbon casks from Boston and Clermont, USA and 30 year old Matusalem oloroso sherry butts from Gonzales Byass, Jerez de la Frontera in Spain. The spirit is then finessed in Port Pipes from Duoro Region, Portugal. All this sherry and wine are bound to create a sweet liquid, and I think this was Dalmore’s intent here, as the malt is quite sweet. Nose: Sweet. No, very sweet. It’s almost too sweet. With a lot of dried fruit. Sultanas, honey. Dried figs. Mint. A slight orange note, a bit of wood. Palate: sweet nectar. Orange peel, sultans figs and some wine tannins. And chocolate sprinkled with some white pepper. Finish : candied orange.dried figs and lots of semi sweet chocolate. I can see why a lot of people will like it (It’s sweet, and fragrant, and those into sweeter whiskies will love it), but I can also see why some will not like this at all (NAS, too many wine finishes). I quite like the palate, while the nose is a bit too sweet for me, but It’s not bad. 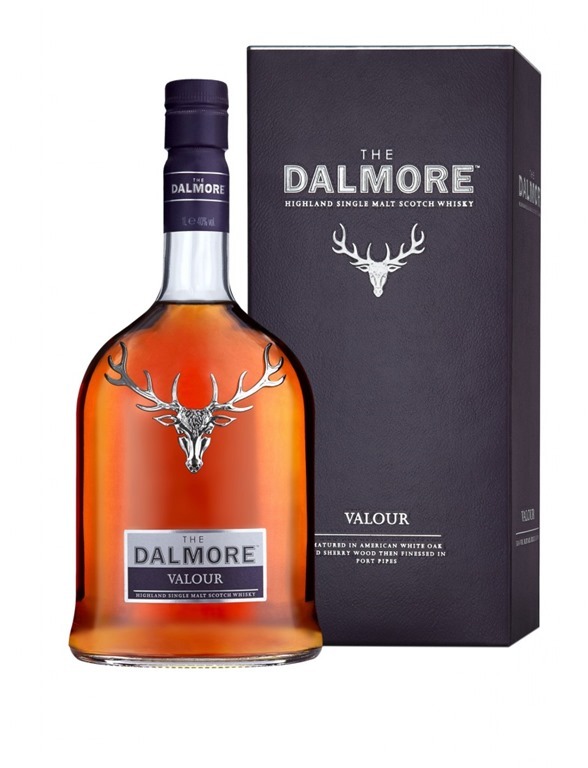 What I would like to see from the Dalmore is NAS at higher strengths, why not go the extra mile and make it say 50% abv? It’s young, and it would not make it much more expensive. Passover 2013 or a week without drams??? I guess that goes for all recent Dalmore expressions (that are affordable). Get some higher abv, and preferably even over 46%. Those NAS, 40%, chill filtered bottles just don’t cut it for me.